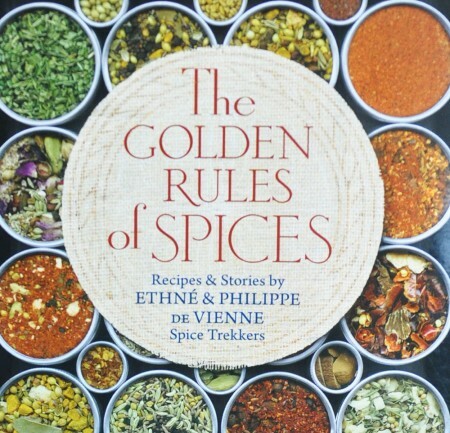 After a month of taste-crippling colds, I have *finally* been able to start exploring the recipes in “The Golden Rules of Spices”, the latest book and spice set from Épices de Cru. I had this book/spice set high on my wishlist from the moment it was announced. I was lucky enough to get a copy shortly after it was released… and promptly caught a cold… and then another. Not ideal when exploring spices. Incredibly annoying when trying to explore a book about exploring and understanding spices. I began to read, while looking longingly at my spices. This book isn’t just fodder for people who get all geeky about spices (read: people like me). 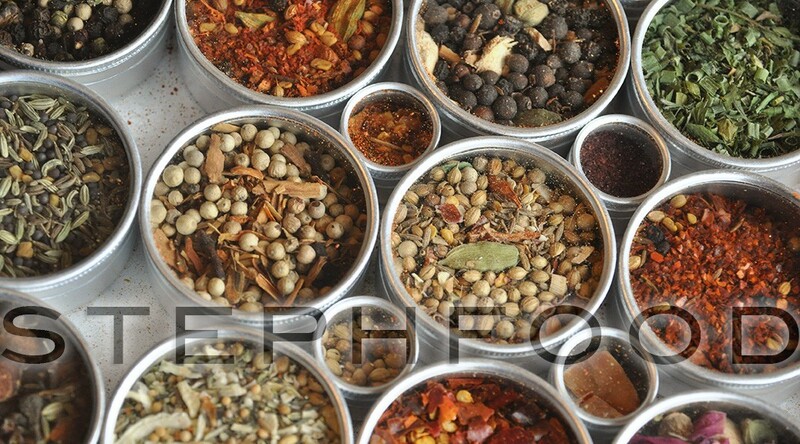 It’s more akin to a food-lover’s companion that can demystify the use of spices. We all know to throw a bit of oregano into a tomato sauce, but why does that work? What else could we use in its place? Aside from recipes and spice demystification, there are also stories. Overall, it’s a warm and inviting read – it feels more personal than clinical. After a bit of reading, my sense of taste returned… and I knew exactly what I wanted to try first. Creton Spices seemed the most intriguing place to start. I had tried cretons on my first trip to Quebec City, and while I’m not itching to make a batch of it for myself, I wanted to try the spices. In the book, this blend is used in both savoury and sweet dishes. I thought it could be an interesting addition to my granola – something I haven’t tried spicing up yet. I ground some up to take a good sniff… and chickened out. Instead of a sweet smell, I caught something almost garlicky or cheesy. Incredible smell, but too challenging for the moment. I opted for a couple of recipes from the book next. After poor J caught my cold, I chose Bedard’s Lentil and Chickpea Soup (p. 58). Full of lentils, chickpeas, and Turkish Kofte spices (yay! Turkey! ), I thought it would be just what he needed. It was tangy and hearty – and even better as leftovers the next day. The second recipe I made was a wee twist on one of my favourite ways to use spice blends. Janet & Peter’s Trout Filet (p. 112) is a very simply coated trout in Yunnan spices and olive oil, baked in the oven. This is one way to really test out a spice blend – the fish is a great vehicle for the spices, making it easy to taste some of the more delicate elements. Yunnan spices are mostly made up of mild chiles, but the Szechuan peppers and Chinese black cardamom give it an unexpected twist. Subtle and tasty. As good as those dishes were, my favourite experiment was still to come. Home alone with a fridge full of random leftovers, I decided to toss some leftover pasta with butter, salty Pecorino Romano cheese and Creton Spices. It was brilliant. Cacio e pepe is a popular Italian dish that is made up mostly of pasta, cheese and pepper. This dish had the same spirit, but The Creton Spices added an extra layer of warmth, with a hint of cinnamon, mace and clove. I wish I had more leftover pasta for a second helping! That’s my (long) way of explaining how excited I am about this book and spice set. It has something for every food lover, every skill level. Oh, and there’s also a guided spice tasting in the book that I haven’t had a chance to run through yet. Can’t wait!